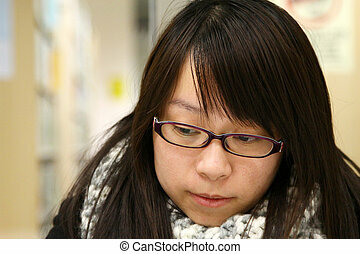 Asian woman thinking in a modern house. 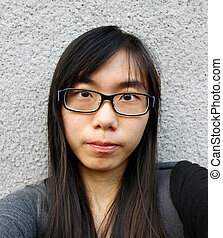 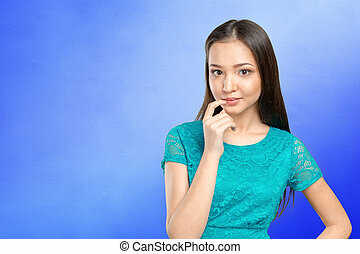 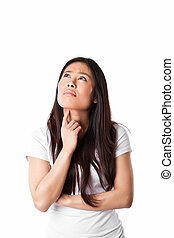 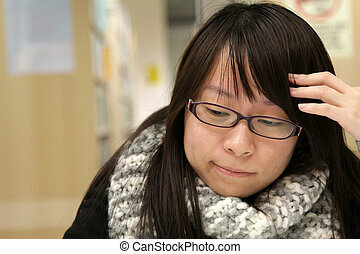 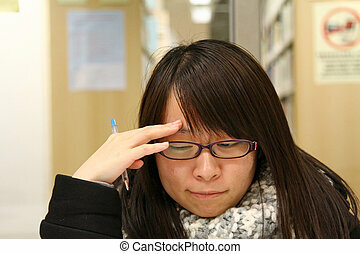 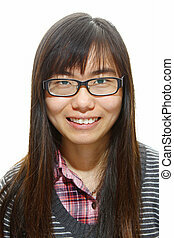 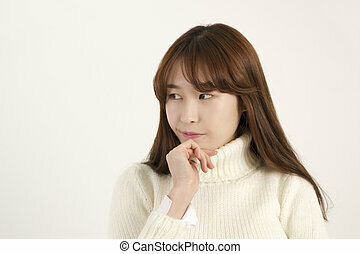 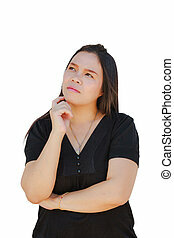 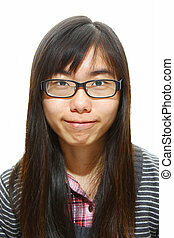 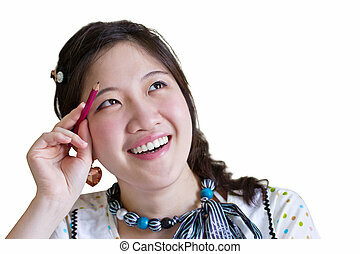 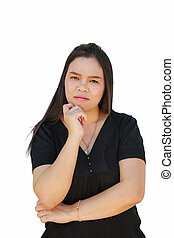 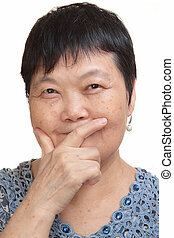 Asian woman thinking in serious look against white background. 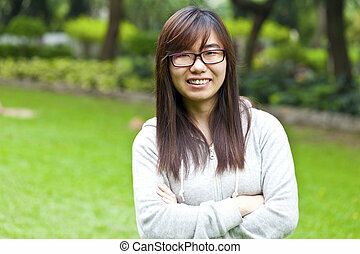 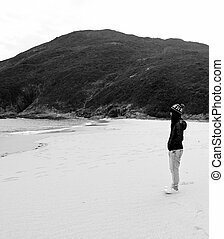 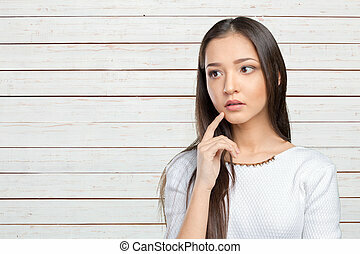 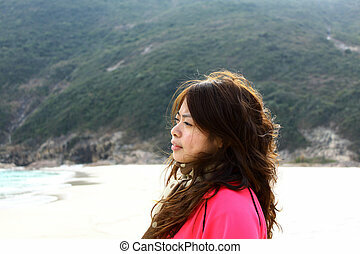 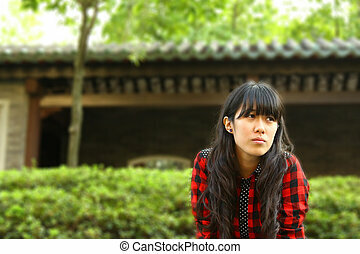 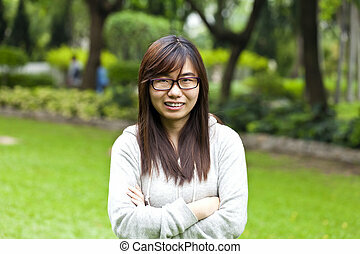 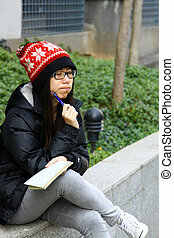 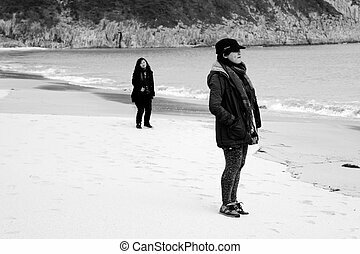 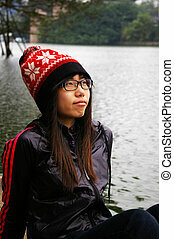 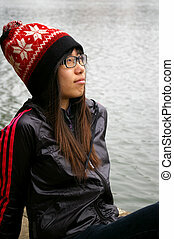 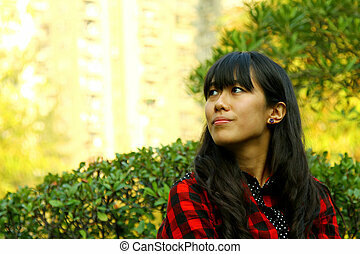 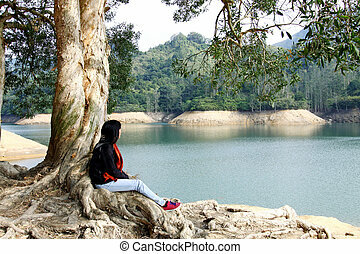 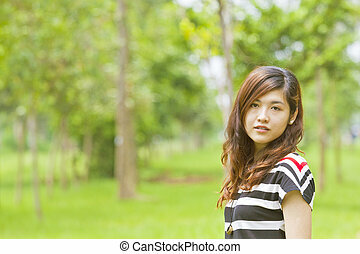 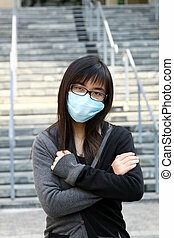 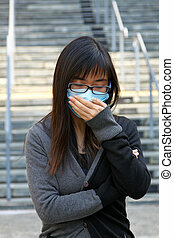 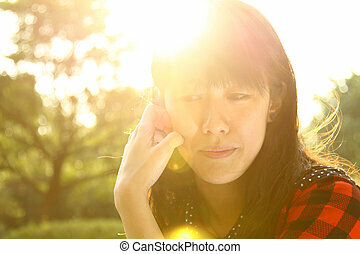 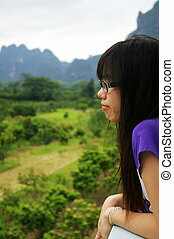 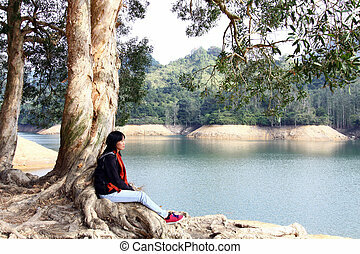 Asian woman thinking isolated on white background. 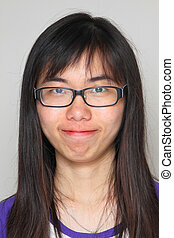 Shot on studio.